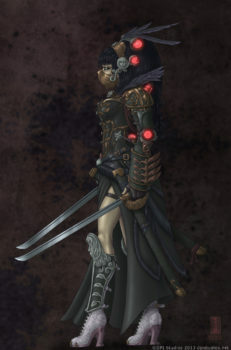 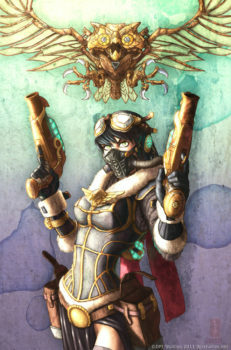 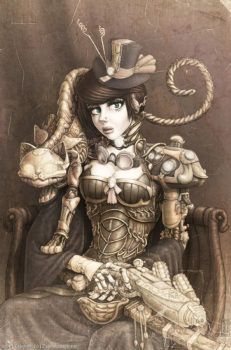 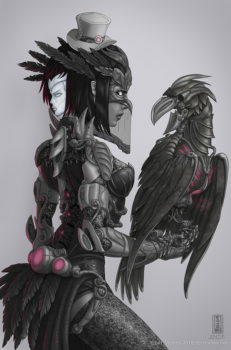 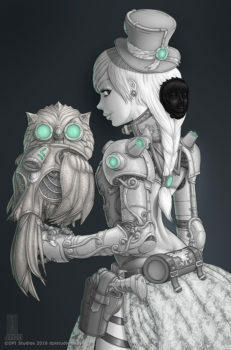 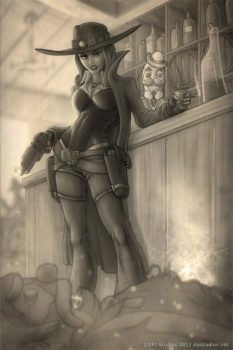 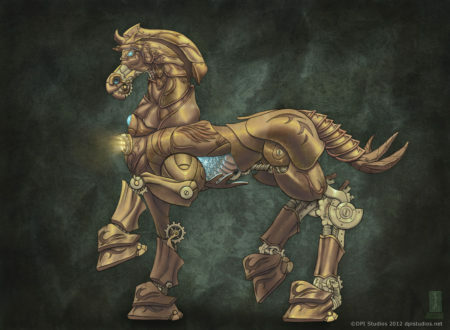 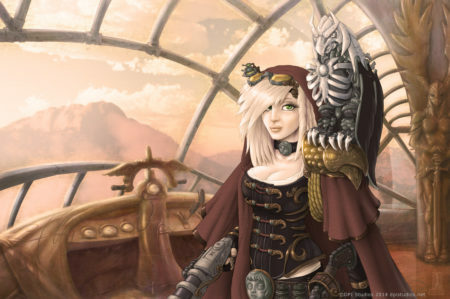 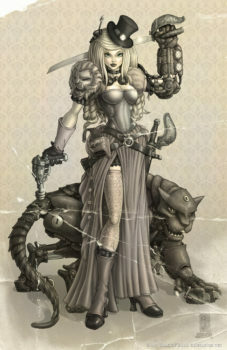 Our first steampunk picture, Lady Ravendale was created in 2010. 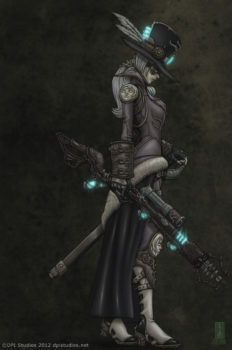 We were inspired by the amazing costumes we would see when exhibiting at Dragon-Con in Atlanta. 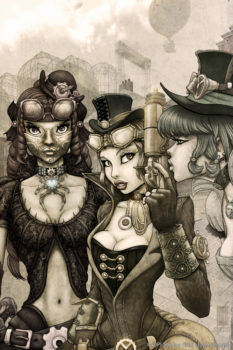 Since then the steampunk genre has been one of our most popular. 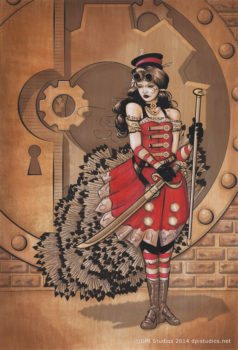 All three of our first steampunk paintings have been published in Ballistic Publishing’s Exotique line of art books and we couldn’t be prouder to have our pictures included with so many world class artists.